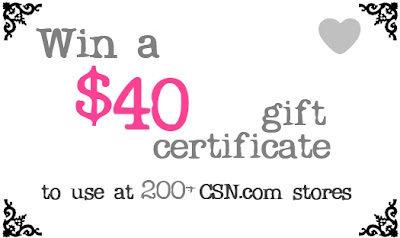 CSN Stores is generously offering one of my readers a $40 gift certificate to use at any of their 200+ stores! You can spend it on or put it towards just about anything, whether you want black suede peep-toe pumps, a Diane Von Furstenburg bag, decorative decals to put on your wall, or even a pretty new vanity for your bedroom! There's thousands of things to choose from on their sites. 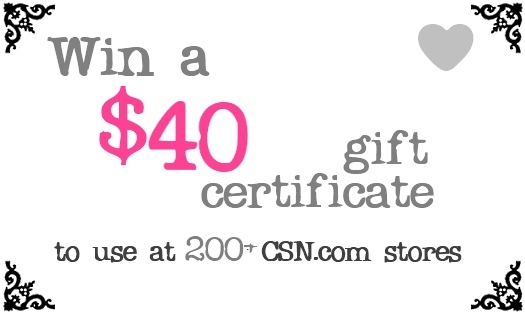 The gift certificate can be used at any CSN online store, including Luxe, All Modern, Shoes Got Sole, and more! See the complete list of stores here. 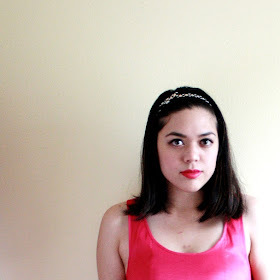 Mandatory entry: Follow my blog with Google Friend Connect or Bloglovin' and leave a comment below with your e-mail address.